At Tune Hotels, we focus on comfort and convenience at an unbeatable price. We provide the essentials of a good night’s rest – clean rooms, great beds and power showers – without the fuss. Eat, play and stay at one of our unique properties today. Earn 1 BIG Point when you spend MYR 2 at Tune Hotels. AirAsia BIGLIFE Member must ensure to provide AirAsia BIGLIFE ID at time of booking. Stay at Tune Hotel to earn 10X BIG Points and enjoy up to 35% off for your booking! Book your stay & fly for free! Stay at Tune Hotel to earn 10X BIG Points and enjoy up to 35% off for your booking with the promo code. Visit Tune Hotel dedicated landing page to book your room. 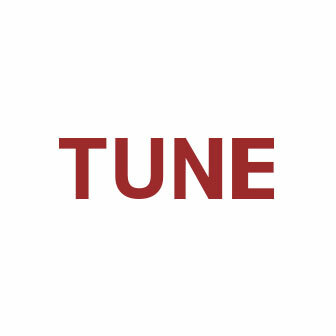 Make booking via Tune Hotel homepage with the TUNESPECIAL promocode to enjoy additional discount. Ensure to provide your BIGLIFE ID at the Check Out page under Additional Details column. Please select AirAsia BIGLIFE. Upon check in at the hotel, please present your AABIG ID for verification purposes. This “Earn AirAsia BIG Points with Tune Hotels” (“Campaign”) is organised by Think Big Digital Sdn. Bhd. (“BIG”) and Tune Hotels Regional Services Sdn Bhd. (“Tune Hotels”) (jointly referred to as “the Organisers”). This Campaign runs from 25 Oct 2011 till indefinitely unless advised otherwise by Organisers. The Organisers reserve the right to amend or extend the duration of the Campaign at any time as they deem fit without prior notice. Any other transaction using foreign currency will be converted into RM based on a rate solely determined by Tune Hotels prior to AirAsia BIG Points awarding. Purchases made via OTA (online travel agents) will not be entitled to earn AirAsia BIG Points. Participants will be entitled to earn AirAsia BIG points for the services mentioned above, provided the AirAsia BIGLIFE ID is given prior to check out date. Failure to update AirAsia BIGLIFE ID prior to check out date will not be entitled to AirAsia BIG Points. AirAsia BIGLIFE ID can be updated in the following scenarios. Participants can quote their AirAsia BIGLIFE ID at time of booking. If a booking is made, Participants can update their AirAsia BIGLIFE ID at tunehotels.com > Manage Confirmed Bookings > My Profile prior to check-out date. Participants can also update their AirAsia BIGLIFE ID at the hotel registration counter before or as they check out. AirAsia BIG Points earned will be credited into Participants’ AirAsia BIGLIFE Member accounts within 5 working days after check out date. AirAsia BIG Points will be deducted from AirAsia BIGLIFE Member account should there be any monetary refund of rooms purchased. The Organisers reserve the absolute right to substitute and/or replace the AirAsia BIG Points from time to time without any prior notice to the Participants. 1. This “AABIG Loyalty Exclusive Sale” (“Campaign”) is organised by BIGLIFE Sdn. Bhd. (“BIG”) (formerly known as BIGLIFE Sdn. Bhd. and Think BIG Digital Sdn. Bhd.) and Tune Hotels Sdn. Bhd. (“Tune Hotels”) (jointly referred to as “the Organisers”). 3. Information on how to enter form part of these conditions of entry. Registration for and/or participation in this Campaign is deemed acceptance of these conditions of entry. Acceptance of these Terms and Conditions is a pre-condition of entry. 4. This Campaign runs from 20 February 2019, 00:00 (GMT +8) and closes on 30 June 2019 23:59 (GMT +8), both dates inclusive (“Campaign Period”). The Organisers reserve the right to amend or extend the duration of the Campaign at any time as they deem fit. D) BIG Points will be credited to the eligible Participants within four (4) weeks after the completion of the stay (or any other period as the Organisers deem necessary) subject to the Organisers receiving all necessary information as deemed necessary. 6. The Organisers reserve the absolute right, at any time, to verify the validity of Successful Booking and Participants. Without limitation, Participants agree to provide a copy of the identification card to the Organisers upon request. The Organisers’ decision in relation to all aspects of the Campaign are final, binding and conclusive under any circumstances and no correspondence nor appeal will be entertained. 7. Only Participants that fulfil the Campaign terms and conditions shall be eligible to receive the BIG Points. Participants that fail to fulfil the Campaign terms and conditions will automatically be disqualified from the Campaign without notice. 8. The Organisers reserves the absolute right to substitute and/or replace the BIG Points from time to time without any prior notice to the Participants. 9. The Organisers further reserves their right to use any personal data of Participants in any manner and/or for any purpose related to this Campaign and the Participants are deemed to consent to such use with no monetary payment. 10. The Organisers reserve the right in their sole discretion to disqualify any Participant and/or to forfeit the BIG Points from any they believe has undertaken fraudulent practice and/or activities or other activities harmful to this Campaign or to the Organisers. 11. Participants may be contacted, at any time deemed appropriate by the Organisers, via email or any other mode of communication deemed appropriate by the Organisers. 12. The BIG Points are not exchangeable and/or transferable and cannot be exchanged or redeemed for cash. Usage of BIG Points is subject to BIGLIFE Membership Terms and Conditions. 13. The Organisers reserve the absolute right to cancel, terminate or suspend the Campaign with or without any prior notice and/or assigning any reason. For the avoidance of doubt, cancellation, termination or suspension by the Organisers shall not entitle the Participants to any claim or compensation against the Organisers for any and/or all losses or damages suffered or incurred as a direct or indirect result of the act of cancellation, termination or suspension. 14. The Organisers accept no responsibility for late, lost, incomplete, incorrectly submitted, delayed, corrupted or misdirected booking whether due to error, omission, alteration, tampering, deletion, theft, destruction or otherwise. 15. The Organisers, subsidiaries, affiliates, and associated companies will not be liable for any loss (including, without limitation, indirect, special or consequential loss or loss of profits), expense, damage, personal injury or death which is suffered or sustained (whether or not arising from any person’s negligence) in connection with this Campaign (in which case that liability is limited to the minimum allowable by law). 16. The terms and condition contained herein shall prevail over any inconsistent terms, conditions, provisions or representation contained in any other promotional or advertising materials for the Campaign. 17. The Organisers reserve the absolute right to vary, delete or add to any of these terms and conditions (wholly or in part) from time to time without any prior notice to the Participants. 18. The decision of the Organisers in relation to every aspect of the Campaign including but not limited to the BIG Points award and Participants shall be deemed final and conclusive under any circumstances and no appeal or complaint from any Participants will be entertained. Retro-claims by Participants for the award of BIG Points will not be entertained. Any request by Participants to provide their BIGLIFE ID or to be eligible for BIG Points after exiting the payment page at the Dedicated Website will not be entertained. 20. This terms and condition may be translated into other languages. In the event of any inconsistency and discrepancy between the English and translated versions, the English version shall prevail.